Peter Warlock is the pseudonym Philip Heseltine used on his musical compositions. He was an English journalist, music critic and composer in the early part of the 20th century. Though his list of completed musical compositions is small, “Capriol” is one of the most often performed pieces in the string orchestra repertoire. It reflects the composer’s interest in Elizabethan music, as the suite is a selection of dance melodies from that period in 20th century clothing. Come hear “Capriol” on the August 7 program. Performed by the Norwegian Chamber Orchestra (2012). Conductor: Henning Kraggerud. We celebrate the 150th anniversary of the birth of Denmark’s greatest composer by closing our August 7th concert with his earliest published piece, the “Little Suite for Strings”. First performed in 1888, when the composer was only 22, the piece was a great success for the young composer. While it does not have the voice that was to develop into the great symphonist of the early 20th Century, the charming Intermezzo does show Nielsen’s early fondness for triple time, which was to become a signature characteristic of his later music. Performed here by the Orquesta Ciudad de Orihuela (OCO) in 2012. Conductor: Sixto M. Herrero Rodes. The musicians selected the Italian name to reflect their fondness for Vivaldi and to celebrate the meaning of the word: “amici” means “friends.” “I have many talented friends who play string instruments,” says Amici’s founder, Alice Pavri, “I wanted to bring a group together to play string repertoire we don’t often get to play in our symphonic orchestras.” Pavri has a knack for bringing people together; she is also the co-creator of the Providence Chamber Orchestra (est. 1998) and the director of the Phoenxiville Phiddlesticks, a children’s group. 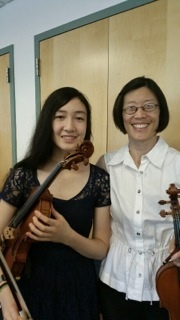 Pavri has been teaching violin, viola, and piano in Kimberton for 20 years. 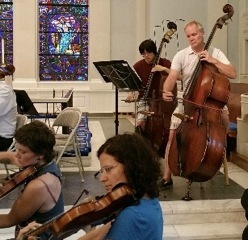 see that music can remain a vital part of their lives even after they leave school,” claims bass player and Phoenixville district teacher, Joe Klapper. 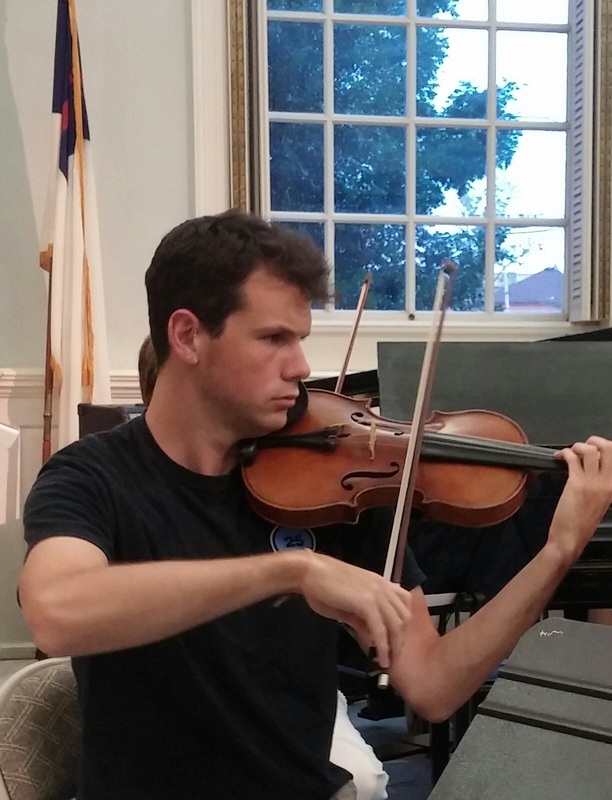 Leigh Schoepflin, who also teaches in Phoenixville, praises the challenge of the repertoire, noting that string music provides variety in the viola part often absent in larger orchestral works. With a small ensemble like this one, it is easy for children and adults alike to hear how every musician contributes to the sound, and how happy they are to be playing together. The concert will be followed by a “friendly” reception. Sir Edward Elgar, the most English of English composers, wrote several pieces for string orchestra. His early “Serenade in E Minor, Op. 20” is one of his most elegant, gentle, noble and beautiful creations, as this second movement of three attests. The Swedish national string orchestra plays “Larghetto” from Edvar Elgar’s “Serenade for strings in E minor” op.20. Live recording from Lund cathedral, July 3rd, 2009. Conductor: Berth Nilsson. 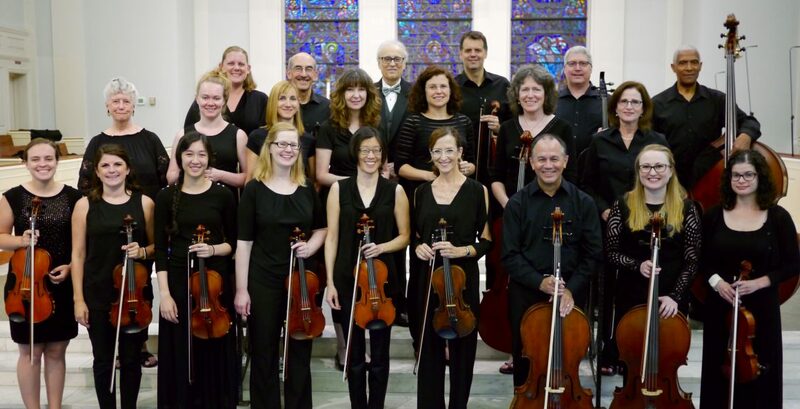 Amici Strings will perform Elgar’s Serenade on the August 7, 2015 program.